Did you know that 40% of credit card holders do not pay all their debt each month and get punished for it? What you don’t know about personal finance management can really affect your bank account and your day-to-day life. This free personal finance course will teach you all the essential tricks and techniques for managing your finances and saving your money, from learning to budget and deal with debt to insurance and retirement planning. This course will guide you through the main methods for managing your money, budget and savings. You will first be shown how to manage debt successfully and understand the wide range of insurance products available to you. You will then gain a strong knowledge of wages and tax. This will help you avail of more tax benefits, better understand your pay cheque, and plan your monthly and yearly expenses more accurately. The course will then guide you through essential personal finance basics. This will include an overview of a range of banking products and their features, so that you can make the best choices possible. You will then be given strong tips for how to create and manage a budget. This is crucial information for staying out debt and maximising your savings. Finally, you will learn how to plan for your retirement, a skill which can make a really big difference to your life. By the end of the course you will have gained a much stronger understanding of how to manage your money in both the present and the long-term future. 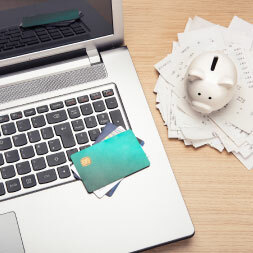 Knowing how to manage your personal finance can be the difference between saving some money every month or saving nothing at all. If you know what it feels like to run out of money before your next pay cheque arrives, or to look at your account every month and almost never see it go up, then you understand the value of this course. So take control of your personal finances today with this free and powerful course. By sticking with it for just 10 hours, you will see the rewards every month for the rest of your life!